Using the Internet of Things (IoT) integrated into the system, smart parking solutions are proving the ultimate solution to safety and security at work. Protecting your employees, as well as your assets, is critical to ensuring a safe and secure working environment all round. This is where areas such as access control comes in to ensure that no unauthorized access or theft occurs. 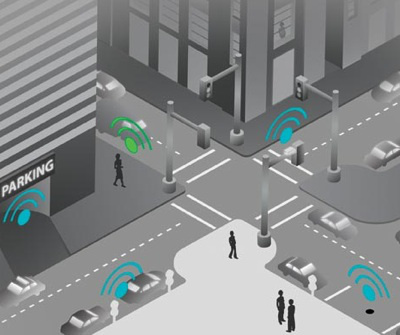 Smart parking solutions can be developed and designed according to the needs of each business and the space that they have. In our last blog-post, we discussed the ins and outs (as well as benefits) of having access control installed at the entrance to a business’ building. This automated smart solution effectively offers only employees access with the help of RFID-based key fobs or cards. Access control, however, can be brought into effect earlier than at a building’s entrance, instead, being put in place at the entrance to the business’ car park. Automated car park access provides businesses with robotic parking solutions that allows only authorized employee vehicles access to the car park. This system has numerous benefits to it, notably offering employees security over their possessions, as well as protecting company vehicles. Saving parking spaces : If the number of parking spaces is limited, smart parking facilities offers businesses the opportunity to save a set number of spaces for their employees. With only the employees themselves able to access the parking space, they no longer have to spend time finding a parking space. Optimized parking : Not only is it much easier for employees to find parking easily, but spaces will be available close to work every day. This makes it more efficient and less of a headache for employees to get to work on time every day. Space can also be used much more effectively by businesses. Improved security : As only authorized personnel can access the parking space, their possessions can be effectively kept safe and secure. This same concept extends also to any company vehicles which are stored in the parking area. As security cameras are also part of the smart parking area set-up, businesses can keep 24/7 track of who has entered the car park. Reduced traffic and pollution : Because there are fewer cars on the roads searching for parking spaces, this ensures that there are fewer vehicles on the road. With less traffic on the road burning fuel and less driving time, there should also be a significant reduction in pollution levels, causing an improved environmental impact. New revenue opportunities : By introducing a paid scheme for access to parking spaces, businesses can ensure that not only do employees get a secure parking area close to work. But businesses can introduce a tiered payment option, so that employees pay according to the parking space. With this system in place, businesses can rest assured that their parking solutions will work in the best way for their needs.